But most of the comments were unappreciative and pointed out things that they thought I was doing wrong. Such is the way of the internet when you put things out for free. I took the tutorial down a few months ago and decided to make it even better and turn it into a pattern. The pattern is $4 and available for instant download through my Meylah store. These actually have boxes in them to hold the shape. The larger one I use for produce (like the original pattern, shown in Amy Butler fabric). The smaller one on the right is where I keep my larger quilting supplies. It's just an Ikea box that I covered in Melody Miller fabric. It's not glued, so I can salvage the fabric and the box if I ever want to change things. So cool! Have a happy day tomorrow too! Thanks for the great tutorial!!! I am going to have to make several of these! Genius, I tell you! Thanks for sharing! A further idea....wouldn't it be great to have 2 or 3 nest so you have lots of carrying power in just a small amount of storage space? This is just the greatest idea!! Thank you so much for sharing the tutorial! I think I'm going to make this next week. Just wanted to say what a great job you did on the illustration of the tutorial. Everything is so well explained...even if you're a math person and not a writer! I'm almost finished my second one for a friend. I love this! I can make one in under an hour too! GREAT tutorial! Looking forward to making this - very easy to follow! Here's an ethics question: Is it appropriate to use shipping boxes offered free by the USPS for purposes other than intended? Since you didn't leave an email address, hopefully you will check my reply. I use priority mail boxes that have already been shipped/used. The box has thus been paid for and would otherwise be recycled or thrown out. I always suggest reusing rather than new or throwing away. That's also why I give directions and formulas for you to reuse any other box that you may have on hand. Thanks for clarifying! I'm glad to see them put to re-use after have already been used to ship; I actually assumed you did, based on the content of your article, but mentioning that they're free from the post office just made me stop and wonder how many people in the world use those 'free' boxes freely (If you'll pardon the pun) for other purposes, since, when you get right down to it, "Free" things really aren't; the cost is just made up elsewhere. 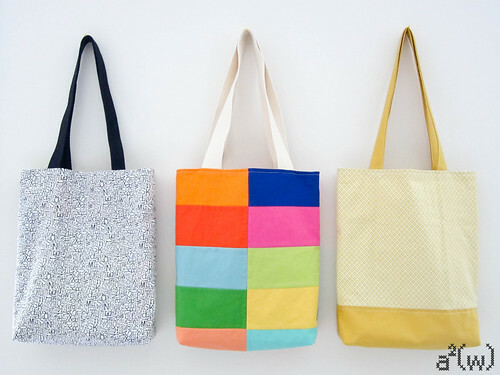 I do love the re-use idea, however, and will be making a few from my leftover Amazon boxes! That's it! I've been looking for a gift that my (grown) children can use year long. 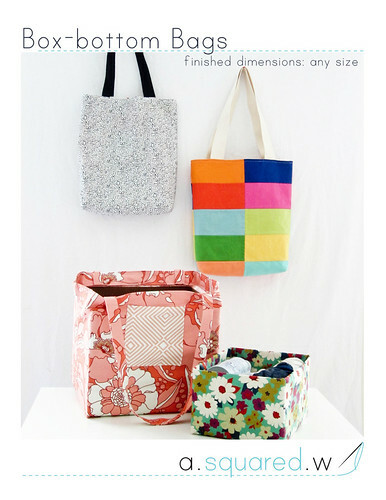 Using your pattern, I'll make a box bag, then mesh produce bags and soft bags and place them in the box bag. 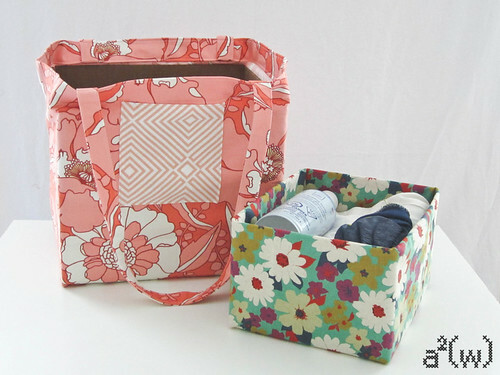 This will be a great storage box in between shopping trips. Thanks for a wonderful idea that will help to make our holidays eco-perfect! I am going to try it, and use a $1 plastic shoe box from the dollar store for the inside. Wish me luck! Hi. I was just wondering how your bag came out with the plastic shoe box? Do you have any pics? If you do, could you send me it? a.ahsam@me.com Thanks! Yes, I am going to make this! Thanks! This looks so very practical! I hate it when my bananas get squished before they come home! Same with my bread. I love it! What a great tutorial and idea. Thank you! What an absolutely awesome idea! I get produce from a buying group every other weekend and this would be perfect!!! I Love it! This is just brilliant. Thanks for the excellent tutorial. Yes, I suggest using a "free" box that has already been shipped. Or, pay for the shipping cost associated with which ever size box you use. It is a federal offence to use the "free" boxes provided to USPS customers for any purpose other than shipping a package via USPS and paying the required postage for said box. Not to be a bummer, but these boxes are federal property. :/ So, be careful. Great idea!! Use a used box and focus on the great idea!!! People are mean, this is awesome!! !